Islam is based on having a complete knowledge of Allah (God) Almighty (His names and attributes), affirming His Oneness as the Lord of the universe, and affirming His Oneness as the only One to be worshiped. This belief is the foundation on which the Muslim's Faith is built in addition to the five Pillars of Islam. Islam means submission, that is, submission to the will of God, the characteristic attitute of members of our faith. MUSLIM (also spelled Moslem) is base on same Arabic root as Islam '(s-l-m) and means one who submits to God, that is, a beliver in Islam. 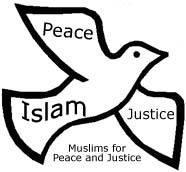 The name of this religion is Islam, the root of which is Slim and Salam which means peace. Salam may also means greeting one another with peace. One of the beautiful names of God is that He is the Peace. It means more than that : submission to the One God, and leave in peace with the Creator, within one's self, with other people and with the enviroment. Thus, Islam is the total system of living. A Muslim is supposed to live in peace and harmony with all these segments; hence, a Muslim is any person anywhere in the world whose obedience, allegience, and loyalty are to God, the Lord of the Universe. The legal source of Islam are Qur'an and Hadith. The Qu'ran is the exact word of God; its authenticity, originiality and totality are intact. The Hadith is the report of the sayings, deeds and approvals of the Prophet Mohammed. The Prophet's sayings and deeds are called Sunnah. The Seerah is the writings of followers of Muhammed about the life of Prophet. Hence, it is the life history of Prophet Muhammed (Pbuh) which provides examples of daily living for Muslims. Allah is the name of One and Only God. Allah has ninety-nine beautiful names, such as: The Gracious, The Merciful, The Benificent, The Creator, The All- Knowing, The All-Wise, The Lord of the Universe, The First, The Last and, others. He is the creator of All human beings. He is the God for all. Muslims worship God whose name is ALLAH. They put their trust in Him and they seek His help and His Guidance. Muhammad was chosen by God to deliver His Message of Peace, namely Islam. He was born in 570 C.E. (Common Era) in Makkah, Arabia. He was entrusted with the Message of Islam. When he was at the age of fourty years. The revelation that he received is called Qu'ran, while the message is called Islam.Muhammed is the very last prophet of God to Mankind. He is the final Messenger of God. There is no god worthy of worship except God and Muhammad is His messenger. This declaration of faith is called the Shahada, a simple formula which all the faithful pronounce. Salaat is the name for the obligatory prayers which are performed five times a day, and are a direct link between the worshipper and God. One of the most important principles of Islam is that all things belong to God, and that wealth is therefore held by human beings in trust. The word zakat means both 'purification' and 'growth'. Every year in the month of Ramadan, all Muslims fast from first light until sundown, abstaining from food, drink, and sexual relations (between married couples). The annual pilgrimage to Makkah, the Hajj, is an obligation only for those who are physically and financially able to perform it. Nevertheless, about two million people go to Makkah each year from every comer of the globe. Hajj is in part in memory of the trial and tribulations of Prophet Ibrahim (Abraham), his wife Hajara and his eldest son Prophet Ismail. 1- Islam forbids the attack on innocent civilians. "But do not transgress limits; for Allah loveth not transgressors". 8- Say: "Are those equal, those who know And those who do not know?" It is those who are Endued with understanding That receive admonition. Say: " O ye My servants who believe! Fear your Lord. Good is (the reward) For those who do good In this world. Spacious is Allah's earth! Those who patiently persevere Will truly receive A reward without measure!" 9- Invite (all) to the Way Of thy Lord with wisdom And beautiful preaching; And argue with them In ways that are best And most gracious: For thy Lord knoweth best, Who have strayed from His Path, And who receive guidance. And if ye punish, let your punishment Be proportionate to the Wrong that has been Done to you: But if ye show patience, That is indeed the best (course) For those who are patient. And do thou be patient, For thy patience is but with the help From Allah. 10- Every soul shall have A taste of death: And We test you By evil and by good By way of trial. To Us must ye return. 6- And say: "Truth has (now) Arrived, and Falsehood perished: For Falsehood is (by its nature) Bound to perish. "The Muslims fraternity is like a mansion, Even as each brick supports and cements the other brick, so does a Muslim act as a supporter and a source of strength for the other Muslims"
Islam teaches us that all humanity is one large family. Then how can we Muslims fight against each other if we belong to different countries? You might ask. Islam stands for Justice and Equality, and if any country violates these principles, there is every reason we as Muslims can fight against it. And also we must remember that as citizens of a country in which we live, we are bound by loyalty to the land to defend it against attacks and plots by the enemies of our country. We must all remember that Islam teaches us all to love our country and respect all forms of life. Prophet Muhammad (PBUH) has said that a human life is more sacred. Justice, Equality and Peace must be our guiding principles in life. Isalm teaches us to live by these principles without sacrificing the love for our country. "I command you to few precepts: Slay not a woman nor a child, nor an aged man, cut not down a tree that beareth fruit, and lay not waste a cultivated land, and destroy not a sheep, nor a camel save for food, and lop not a date tree nor burn it, and conceal not plunder and be not faint of heart." - Khaleefa Abubakr Siddeeq instruction to Muslim army leaving for the Syrian front. My purpose of creating an Islamic home page was to welcome Muslims and Non-Muslims to learn about Islam. To take those misconceptions about Islam out of their minds and so they can know something new about Islam. Prophet Muhammad (PBUH) has said It is duty of the every Muslim to inform about Islam to others, Whether he is Young or Old, Scholar or not Scholar, Poor or Rich and King or Slave. For those interested in learning more about Islam and want to know the basics of this beautiful religion, please check out the Islamic links on the world wide web. My goal is to honor the thousands who were senselessly killed - by working to ensure that it never happens again. I stand, as all Muslims, against all forms of terrorism in all parts of the world. I seek to increase awareness and understanding about the true teachings of Islam, a religion that preaches peace, mercy, equality, love of humanity and service to the community. We can make the world a friendly place through mutual understanding. We are one family all over the world, All people are brothers and sisters betwen us. I seek to inspire other groups and communities to speak up against violence and injustice around the world. Only through dialogue, co-operation, and mutual respect can we achieve the peace and justice the world so urgently needs. To obtain the satisfaction of Almighty give something new and useful to humanity. At present there are 1.5 billion Muslims Worldwide and they form the majority in more than 50 countries of the world. Today Islam is the fastest growing religion (way of life) and the second largest religion in the world. which means one-fifth of the 6 billion people living in the world today are Muslims. Yet, surprisingly Islam remains a mystery in the minds of many. Its beautiful message is reaching millions in the far corner of the earth. Islam does not teach, nor do Muslims desire, conversion of any people for fear, greed, marriage or any other form of coercion. A Reminder: It is the duty of every knowledgeable muslim to report errors and/or omissions and provide corrections substantiated by reasonable proofs. Subhanaka Allahummah wa bihamdika, ash hadu an laa ilaha illa anta, astaghfiruka wa atoobu ilayk. Wa Salaamu 'Alaikum wa Rahmatu Allahi wa Barakaatuhu.